Is humility a Christlike attribute that should be pursued? And even if it should be, can genuine humility actually be attained? Often so practical in application that it is overlooked, the answer is found by studying the life and words of Christ (whosoever will be chief among you, let him be your slave). This little book is a loud call to all committed Christians to prove that meekness and lowliness of heart is the evidence by which those who follow the meek and lowly Lamb of God are to be known. 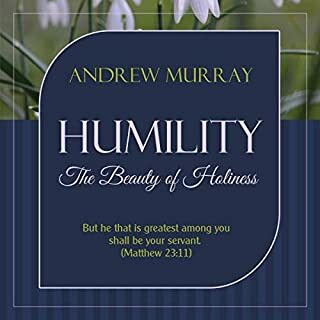 Dutch Reformed Pastor Andrew Murray probes Scripture and the life of Christ in order to teach us how to pray effectually. He asks us to enroll in a new kind of academy. 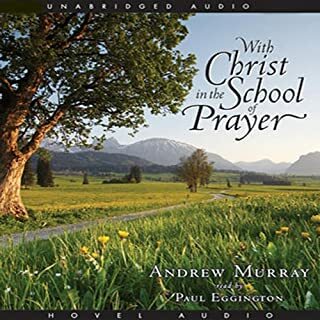 With the Redeemer as our headmaster, Murray gently instructs us on how to experience a thriving relationship with Jesus Christ through the means of prayer. This simple and powerful work is the result of Murray's passionate exploration of the issue of surrender: why it's seemingly impossible and yet completely necessary. 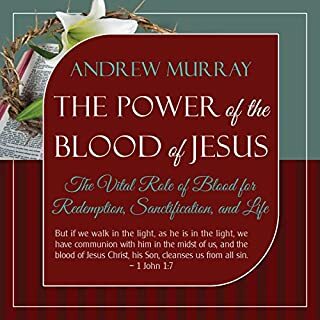 Many throughout the body of Christ view Andrew Murray as a man of God who has left a lasting impact on the world with his life. Even though he has passed on to be with the Lord, his works live on. Divine Healing was created to teach the body of Christ about a most misunderstood subject, namely divine healing. With more than 30 chapters, he expounds on the topic citing the Holy Scriptures. Surely it is an audiobook to look into if you are interested in this very topic. R.A. Torrey's book The Person and Work of the Holy Spirit holds back no punches when it comes to the glorious and powerful Holy Ghost, the third person of the Trinity. Mr. Torrey discusses the personality of the Holy Spirit, the deity of the Holy Spirit, the controversial baptism of the Holy Spirit and much more. 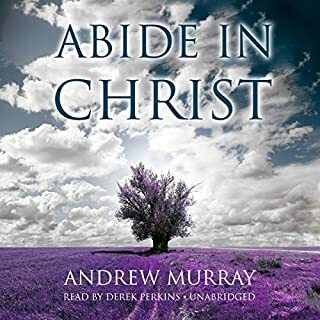 Be encouraged and blessed by this amazing audiobook. Truly it is a gift to the body of Christ as a whole. To God be the glory! 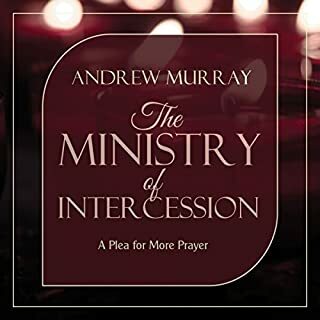 Waiting on God was written by Andrew Murray in 1896. Murray divides this book into 31 "days" (chapters). 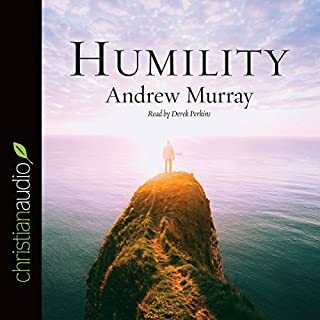 In this audiobook, Murray details our need for more of God in our daily lives and elaborates in 31 small chapters or lessons on how we can go about appreciating God. Find out in these inspiring pages how you can dwell in God's rich love, receive answers to your prayers, weather life's difficult storms, establish unbroken communion with Christ, replace fear and doubt with lasting peace, rest in God's secure protection, and produce eternal results. The fullness of God's merciful loving kindness awaits you. You can come through life's greatest difficulties safely, and every longing of your heart can be satisfied. In the church today, we have everything buttoned up perfectly. The music is flawless, the sermon well-prepared and smoothly delivered, and the grounds meticulously kept. People come on time and go home on time. But a fundamental element is missing. The business of church has undermined the individual's need to truly live for Christ, so much so, that only a limited few are seeing their life impact the world. Excellent Powerful and very Important Read ! "My God, I am willing that you would make me willing." God waits to bless us in a way beyond what we expect. From the beginning, ear has not heard, neither has the eye seen, what God has prepared for those who wait for him (Isaiah 64:4). God has prepared unheard of things, things you never can think of, blessings much more wonderful than you can imagine and mightier than you can conceive. They are divine blessings. Oh, come at once and say, "I give myself absolutely to God, to his will, to do only what God wants." God will enable you to carry out the surrender necessary, if you come to him with a sincere heart. Andrew Murray (1828-1917) was a well-known South African writer, teacher, and pastor. More than two million copies of his books have been sold, and his name is mentioned among other great leaders of the past, such as Charles Spurgeon, T. Austin-Sparks, George Muller, DL Moody, and more. Solid doctrine! Spirit led and well written! Practical and applicable. This book really helps the reader dive into understanding being led by the Holy Spirit and living out faith by the Spirit verses the carnal/flesh. I wish I read this book as a teenager and highly recommend this book for believers and Christians in all stages and seasons of their life! Especially teens. The struggle most Christians and believers have are living out our faith! But it doesn’t need to be a struggle! Read this if you want breakthrough, help overcoming strongholds and want to understand overcoming principalities through! Don’t understand the Holy Spirit or his role in your life? Get THIS BOOK! What a great source of knowledge and application of understanding! I love listening to audios so I have purchased it as so, however I love it so much I am purchasing a copy of the physical book as well! I promise you WILL be blessed by this book! I completely understand now how to live as a branch that completely relies on Christ for everything. Changed my spiritual life. It's time now to do His will freely. Learned a lot and glad I read it! I would highly recommend it to anyone willing to go after God in a deeper way!